There are two places I would recommend visiting to do your equestrian holiday shopping. M&M Tack Shop on Germantown Road in Raleigh, near the fairgrounds, is the first one. They are very helpful in the fitting of helmets and tall boots, have great sales, and usually have some fun promotions during the holiday season. The other shop is Dover Saddlery in the Brier Creek area of Raleigh. This is one of the biggest tack shop chains, and they have a huge variety of gift ideas in store. 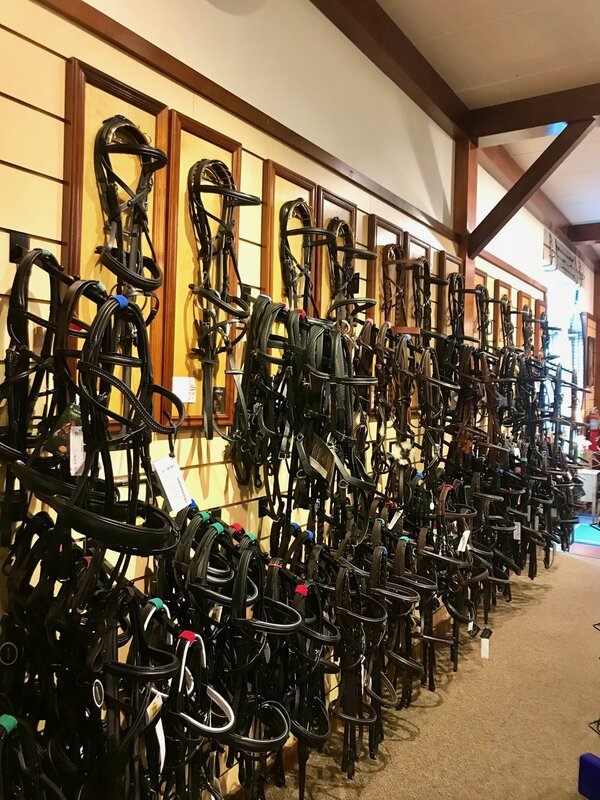 There are lots of options at Dover Saddlery, from tack to grooming supplies, saddle pads to crops. Some of what I would call "necessary" items include a riding helmet if your rider doesn't already have one, and a pair of actual riding boots. Paddock boots are preferred for young riders, 12 and under. Teenagers and adult riders interested in showing would likely love a pair of tall field boots. While outfitting your rider, you could also get them a pair of riding gloves, their own riding crop, or heavier breeches to keep them warm this winter. Some of the first things new riders want are their own saddle pads and grooming supplies. Both tack shops in Raleigh have a great selection of these. 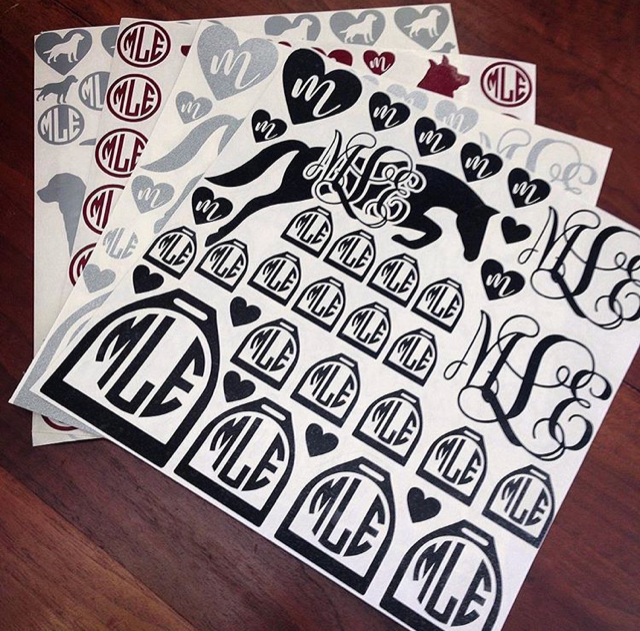 Saddle pads can be found in a favorite color, and can also be personalized with a monogram. Grooming supplies come in all shapes and sizes. A matching hoof pick, curry comb, and dandy brush make perfect stocking stuffers. There are some fun, colorful products on the market for children, and you can also find a colorful bag or tote to carry grooming supplies around the barn. 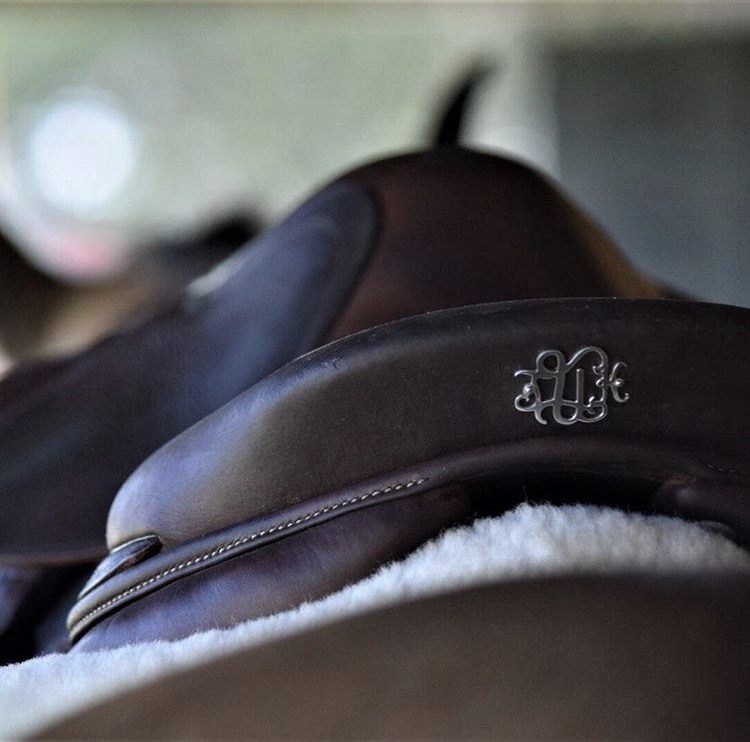 Swanky Saddle Co found here has great personalized items, including monogrammed saddle name plates and belt buckles. They also have beautiful equestrian jewlery. Shop Hunt Club found here has some of my personal favorite things, including great belts, coffee mugs, and smart, fun apparel. 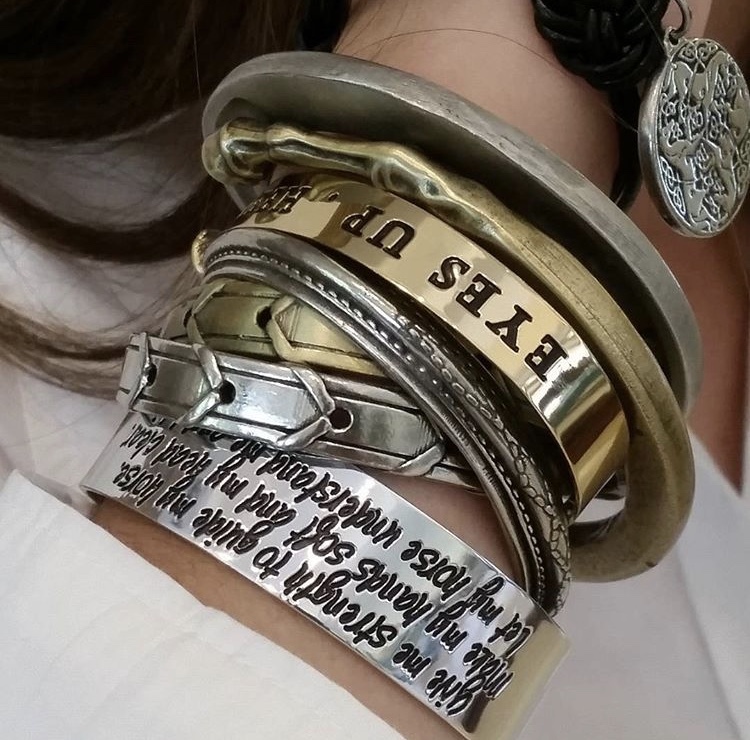 Gray & Co Designs found here makes beautiful lead ropes, and also has hats for long days at the barn and fun equestrian themed sheets of personalized monogram stickers. There are several other great ideas out there. For more equestrian apparel and accessories, go to My Barn Child for funny pony-inspired shirts, K. Marie Equestrian for cute little bags to hold spurs, chapstick and more, and Dreamers & Schemers for adorable boot socks. If you want to get something for your horse, or even your favorite school horse, check out Lucky Braids or Sport Horse Essentials for excellent grooming products. And all horses would love to find treats from the Horse Treatery in their stocking.